Cream blushes apply best over bare skin or liquid foundation – and even better when the liquid foundation is still slightly damp AND before powder. If you apply after your powder the cream will stick to it and look blotchy. Smile and begin at the apples of the cheeks, then work out towards the hairline. Make sure you leave most of the colour at the apple and blend out edges well. You can use fingers or a brush, whatever you’re comfortable with. Some cream products work better with a brush (generally one with synthetic bristles), others apply better with fingers. Those that are more tacky like MAC blushcremes and Stila Convertible Color work better with finger application. 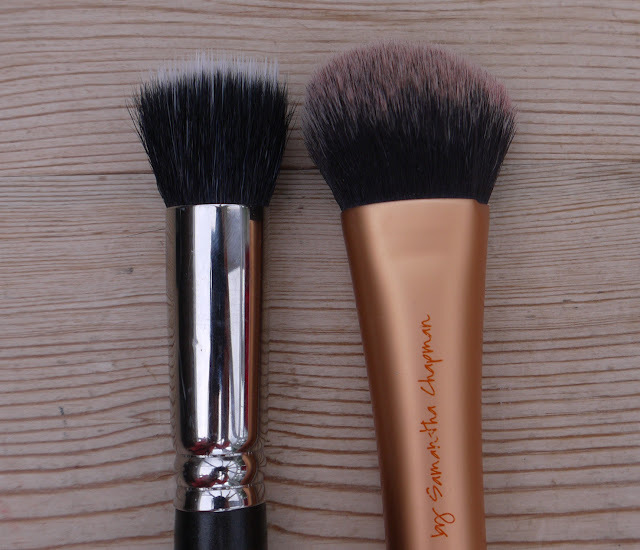 The warmth of the fingertip helps melt the product into the skin, which can then be blended with a brush. Cream to powder blushers apply better with a brush. It’s really easy to build the intensity of a cream blush and it layers really well to create a seamless flush of colour. 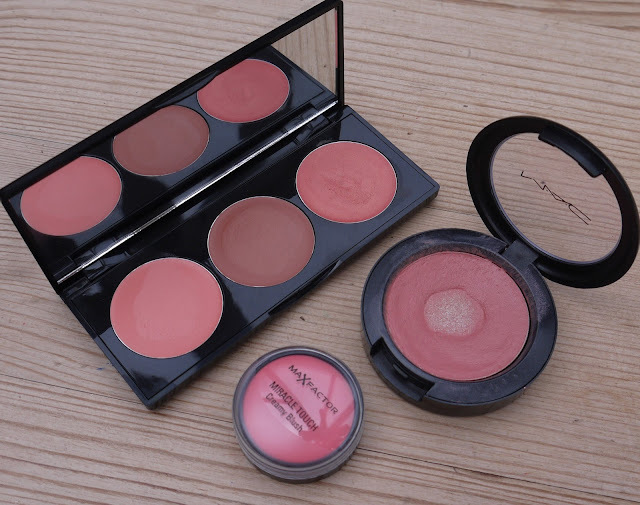 If you want your blush to last all day, or if it’s not overly pigmented, layer two or three applications. Leave to dry/settle for a minute then set with some loose powder. For extra glow, layer over a cream or liquid highlighter. 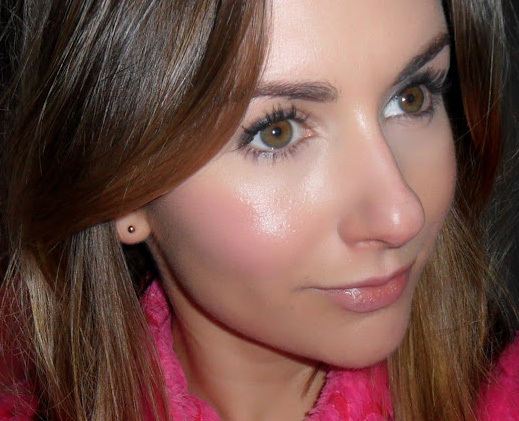 MAC Blushcreme in Lady Blush – my all time favourite, which is sadly discontinued. 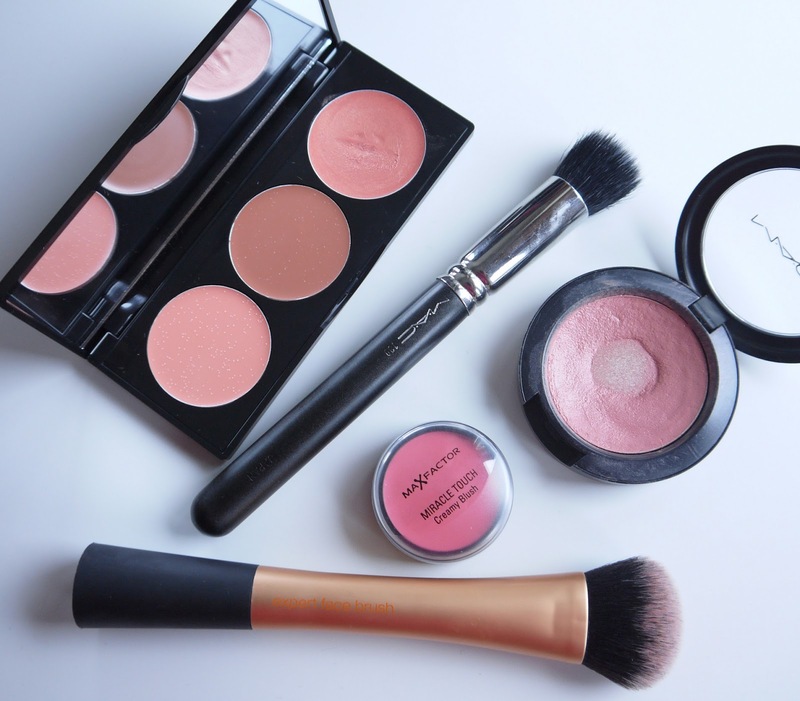 great post, I love cream blushers! Love cream blushes! I'm hanging on to the last very but of my ladyblush too;( so sad- one of my first and faves! It's so, so sad! I'm clinging on to my last scrapes. I need to try the NYX ones next. Love cream blushes too.. U should try illamasqua ones.. Theyre amaaazing.. Dewy and pigmented and they blend so nicely.. Ive recently discovered laura mercier cream blushes.. Theyre more of a vream to powder finish but i love them too.. Thanks Mai. The Illamasqua ones look good too. They've got some really nice shades. Your skin is a dream Claire! Hi, I love your blog and so glad I started following! The shade ladyblush is the fifth one along, and from the reviews it does say its a cream blush! Hope this helps you. So glad you like my blog, thanks for following and thanks for sending me the link. Unfortunately it's not the same one. Blushcremes were discontinued and replaced by cremeblends. The textures different and so is the shade.